Patricia Digh has designed diversity initiatives and training for clients around the world for the past 20 years. Her first book, Global Literacies: Lessons on Business Leadership and National Cultures (Simon & Schuster, 2000) was named a “Best Business Book for 2000” by Fortune Magazine.Her second book was The Global Diversity Desk Reference (Wiley, 2003), and her most recent book, LIFE IS A VERB, is based on her award-winning blog (37days.com) and was published to wide acclaim in Sept 2008 by Globe Pequot Press. Patti has published over 75 articles on diversity and intercultural issues, having traveled and worked in over 60 countries. She was formerly the Vice President of International and Diversity Programs for the Society for Human Resource Management (SHRM), the world’s largest association of human resources professionals with over 250,000 members worldwide. While there, she created the Institute for International HR, the award-winning SHRM Diversity Initiative, Diversity Train the Trainer Certificate Program, National Diversity Conference, and diversity newsletter, MOSAICS. Clients have included Achva College Israel, Amdocs Israel, the Australian Human Resources Institute, the New Zealand Institute of Personnel Management, the Government of Guyana, the U.S. Postal Service, PBS, Shell Oil, The Center for Association Leadership, The American Society for Quality, The American Psychological Association, The American Cancer Society, and DaimlerChrysler, among many others. Patti serves on the faculty of both the Summer Institute for Intercultural Communication and the University of North Carolina at Asheville. She has served on the President's Committee on Employment of People with Disabilities and on the Diversity Advisory Councils of the National American Red Cross, the AARP, and the American Association of State Colleges and Universities. David Robinson is a strong artistic leader with extensive experience in theatre, visual art, creativity, and education innovation. His 20 years of professional directing experience help him design programs for academic and corporate environments utilizing theatre techniques to discover the creative impulse. As a life long visual and theatre artist, he has mastered the competencies that are now being recognized by contemporary organizations as invaluable to their health and sustainability: creative, artistic, imaginative, symphonic, and mythic. David has been Artistic Director of The Dimensions Theatre Project, General Manager of The Seattle Shakespeare Company, and Artist-in-Residence for the Lincoln Unified School District. He has taught for The Seattle Repertory Theatre, The Seattle Children's Theatre, Seattle Shakespeare Company, The Pacific Conservatory for the Performing Arts, and Bringing Theatre Into the Classroom, and has served as curriculum consultant for MacMillan-McGraw Hill, The Teacher's Curriculum Institute, and Lincoln and Haywood Unified Schools. David was founder and director of The McCandless Communications Academy, dedicated to teaching core curriculum through experiential learning processes. As a consultant to school districts and curriculum developers, David has developed extensive knowledge and experience engaging the multiple intelligences, which he continues to use in a variety of contexts. 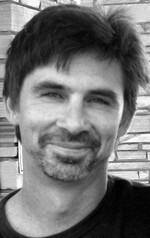 David is on the faculty of Antioch University and a member of the National Storytelling Network. Recent clients include The Society for Humanism in Medicine, the Hudson Institute, The Fetzer Institute, Prudential Financial, and the San Lorenzo School District, in association with Dell and Microsoft. You are both so great. Just seeing what you are up to picks me up and gives me that hopeful happy feeling. What a gift. Thanks for being out there asking tough questions and having fun.